One of the most active dogs around, German Shepherds can be quite a handful when they are in the mood to play. However, the breed is prone to having certain skin diseases passed down from a genetic link. While it may not be possible to cure all of them, most can be managed with the right care and medication. Here is a guide on understanding skin diseases common to the German shepherd breed. According to dog experts, the condition of Acral Lick Dermatitis is characterized by rashes as a result of the dog licking on his legs and feet excessively. Commonly caused by a bored or isolated pet, the disease also occurs in other breeds such as the golden retriever, Doberman and the Labrador. Treatment calls for determining the underlying cause, which may be allergies or a concurrent bacterial infection, Social interaction is warranted to help prevent further scratching. 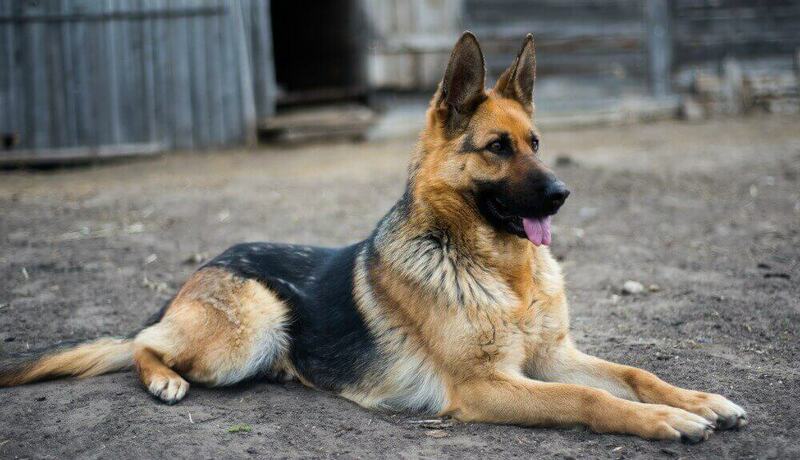 This condition is an inherited skin problem that is quite common with German Shepherds. Unfortunately, there is no cure but it is quite possible to lessen the severity of the symptoms with proper management and care. The disease is characterized with hair loss, excessive dandruff and back skin lesions. Pets affected with the condition are advised to be neutered in order to prevent passing the condition to their offspring. According to experts, the two conditions are known to be more severe in this breed compared to others. The two are caused by a bacterial infection that usually occurs during an illness such as hypothyroidism or when the pet is subjected to a lot of stress. It manifests with skin ulcers all over the body and will require antibiotic treatment. If you are thinking of owning a German shepherd dog it is recommended that you look for a reputable breeder that does screening for the above conditions. If you already own a German shepherd that is exhibiting any of the above symptoms, have a vet look him over to get a proper diagnosis and correct treatment regimen. Also, a dog with skin conditions can be temperamental and grumpy at times, especially while groomed or bathed. Here is some tips you might want to follow when grooming your more aggressive dog. With a little care and patience you should be able to treat any of these skin issues and have a very happy puppy.